How Safe Are Hand Sanitizers? Keeping our hands clean is one of the best ways to reduce the spreading of germs which can lead to infections and diseases. Although washing hands with soap and warm water is the best line of defense, it is not always convenient. Convenience is what makes hand sanitizers so popular. On the plane, in the car, at the playground, before using the shopping cart or after shaking hands with someone who had a cold. 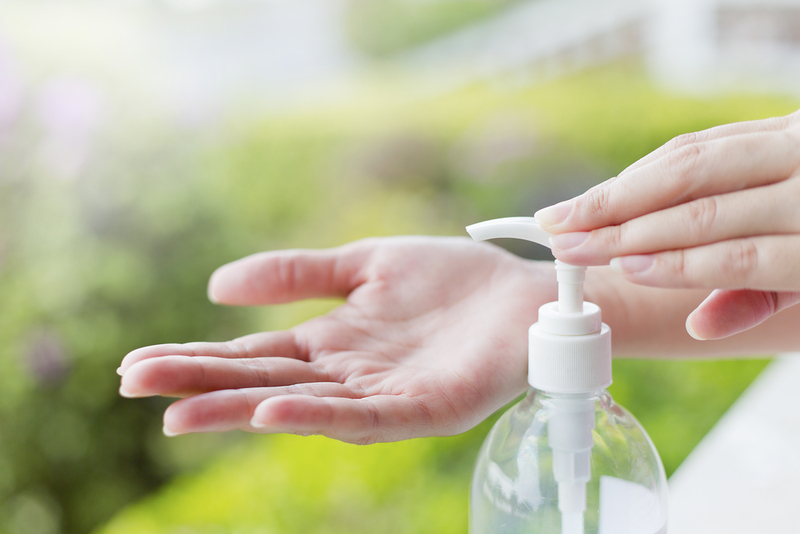 It seems there is no end to the many ways hand sanitizer could help us stay clean and healthy. According to Dr. Sanjay Gupta, a two-ounce bottle of hand sanitizer contains 62 percent ethyl alcohol, or the equivalent of four shots of vodka. At that concentration, even a small dose can be dangerous if ingested, leading to dizziness, slurred speech, headaches, and even brain damage or death in extreme cases. About 75 percent of liquid antibacterial soaps and 30 percent of bars use a chemical called triclosan as an active ingredient. According to the FDA, triclosan is not currently known to be hazardous to humans. But several scientific studies have come out since the last time FDA reviewed this ingredient that merit further review. In light of these studies, the FDA is engaged in an ongoing scientific and regulatory review of this ingredient. FDA does not have sufficient safety evidence to recommend changing consumer use of products that contain triclosan at this time. Antibacterial soaps have the potential to create antibiotic-resistant bacteria. Heavy use of antibiotics can cause resistance, which results from a small subset of a bacteria population with a random mutation that allows it to survive exposure to the chemical. If that chemical is used frequently enough, it will kill other bacteria, but allow this resistant subset to proliferate. If this happens on a broad enough scale, it can essentially render that chemical useless against the strain of bacteria. How to properly use a hand sanitizer? Dispense an adequate amount of hand sanitizer in your palm to cover all surfaces of the hands completely. Then, rub hands together until dry. Be certain to cover back of hands, in between fingers, and around fingernails. Are alcohol-based hand sanitizers flammable? Yes, alcohol-based hand sanitizers are flammable and should be kept away from fire or flames. How much hand sanitizer should be used per application? The answer to this question depends entirely upon the size of the hands. An adequate amount should be applied such that all surfaces of the hands are completely covered and remain wet for at least 15 seconds. How much alcohol should a hand sanitizer have in it? The Food and Drug Administration (FDA) requires that alcohol-based hand sanitizers contain between 60% and 95% ethanol (alcohol). What should be done if hand sanitizer is ingested? My hand sanitizer is past the expiration date. Can I still use it? All drugs regulated by the FDA require expiration dates. These dates guarantee the effectiveness of the product. Once the expiration date has passed the effectiveness of hand sanitizer cannot be guaranteed. While not as convenient, getting back to basics and just using soap and water is a much better alternative and time-tested way to clean your hands. There are also natural hand sanitizers appearing on the market which are free of harmful chemicals.